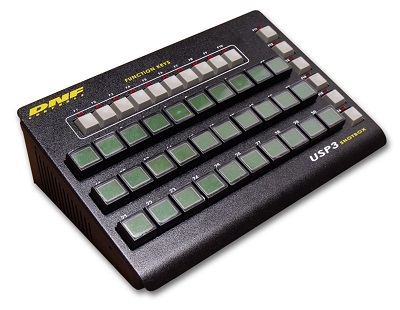 The Christie Spyder Shotbox, USP3-SBX-VSS, provides tactile, fast, easy, and dependable control over Spyder to recall Command Keys. The Spyder ShotBox reads the Command Keys in Spyder and automatically maps them to ShotBox keys. Press a button..Recall Command Key!